Federal regulators are being urged to look into a “snortable chocolate” powder that is now being sold. Food and Drug Administration has been asked to investigate the use of caffeine in inhalable food products, such as a new product released as Coco Loko. 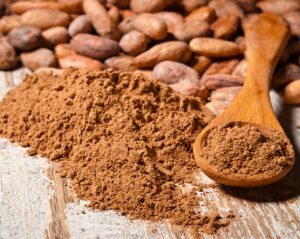 Coco Loko is marketed as “raw cacao snuff.” The product is made using cacao powder, created from the beans used in making chocolate. According to news reports, it also contains some common energy-drink ingredients and caffeine. The manufacturer Legal Lean Co. doesn’t detail all of the ingredients online. Legal Lean is an Orlando-based nutrition company that makes dietary supplements. Legal Lean sells Coco Loko online for $19.99 for a 1.25-ounce tin. The product is already available on Amazon, on Legal Lean’s website, and in some liquor stores. Founder Nick Anderson has said he didn’t consult any medical professionals before releasing the product, but believes Coco Loko is safe. Instructions for the product say consumers should snort the powder directly into their noses. No other food product has ever been marketed or approved to be inhaled. A disclaimer at the bottom of Legal Lean’s website tells potential buyers that its products are not intended for children or pregnant women and to “consume responsibly.” The product has gotten a lot of buzz in recent weeks. Schumer says there are too many unanswered questions about these types of products. An FDA investigation would set out to determine the full effects that products like Coco Loko have on the human body.